It may be mid-July but my brain has been focusing ahead toward school for a few weeks now. For some reason I am a plan ahead parent so this is a great time for me. I am able to plan and prepare prior to my children coming in and goofing up all of my plans. As I mentioned before I now have Tractor Man’s lessson plans all ready to go. It’s simply a matter of waiting for the first day now. And of course getting Tractor Man excited about his first full year of home school. To add to the chaos I KNOW that I will need to have something in place for Tag Along. He is now a year and a half old and very much in need of direction. He wants to copy everything his big brother does but Tractor Man wants his space. Knowing these factors I know that I will need to create a lesson plan series just for Tag Along. I purchased a lesson planner from Target at the end of last year for a cheaper than normal price and now I have it filled with ideas on how to keep Tag Along working while I am teaching Tractor Man. My brain has had a bit of a challenge coming up with ideas to fill all of our time to distract Tag Along though. My biggest challenge was learning to teach myself to think outside of the box on how to occupy a one year old for twenty minute sessions. Here are my suggestions for keeping your tots from trouble while you are teaching your other children. 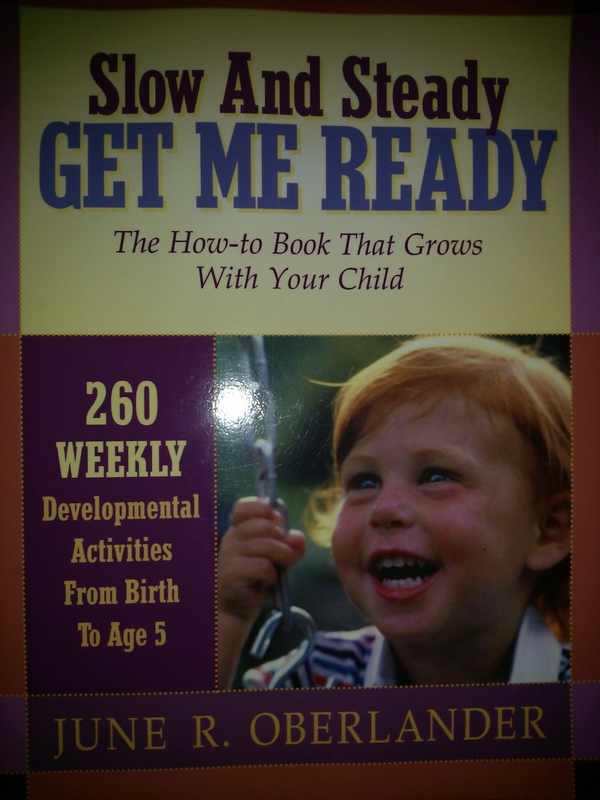 First, get yourself a copy of the book “Slow And Steady Get Me Ready” by June R. Oberlander. 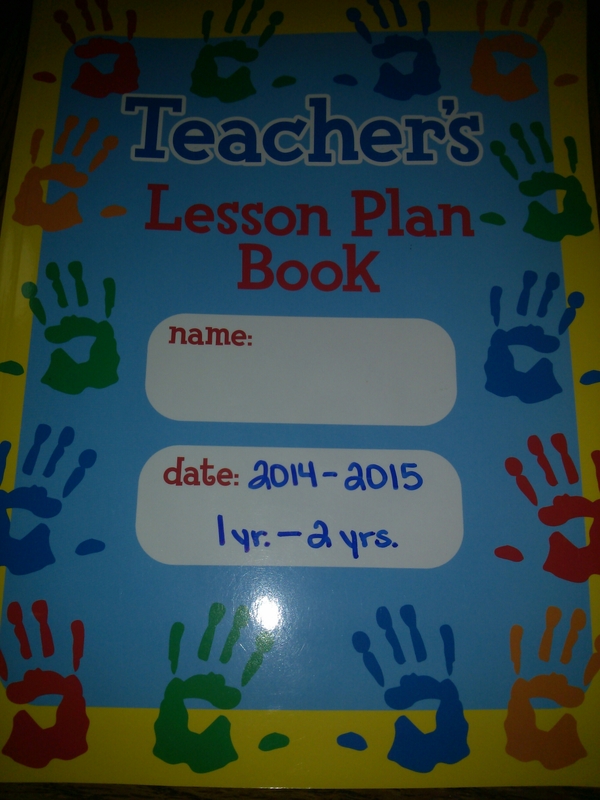 This book provides you with a weekly idea or activity to do with your child from birth to age 5. Each activity is set up to help your child further develop and learn. I have added a weekly activity to each week of Tag Along’s lesson plans so he will continue to learn along with us. I was able to get my copy for under $25, very much worth it for five years worth of weekly plan ideas. Next I added in a few basics that we did with Tractor Man. We will work on 1,2,3’s and ABC’s every two days and also add in flashcards for animals three days a week. My boys love animals but if you have something that interests your child more feel free to make flashcards that interest them. We will be making homemade flashcards for Tractor Man on all of the John Deere tractors through out history (he loves that kind of thing). Third, plan for the moments when games are needed. Playdough, coloring, educational videos and games are all in my list of possible activities. I also got great advice at our local home school conference to make a list of ideas for each of your toys and tape it to the inside cover of that game. So when you need to distract your little one but do not have the time or energy to think of a game just pick one from that list, problem solved! Finally realize that it will never go perfectly. If you do have a perfect day relish in the moment! Use nap times to your advantage and do not forget to take a break for yourself as well. Best of luck everyone and happy home schooling.